This lobster pie dinner is a magnificent gateway to a wonderful evening. 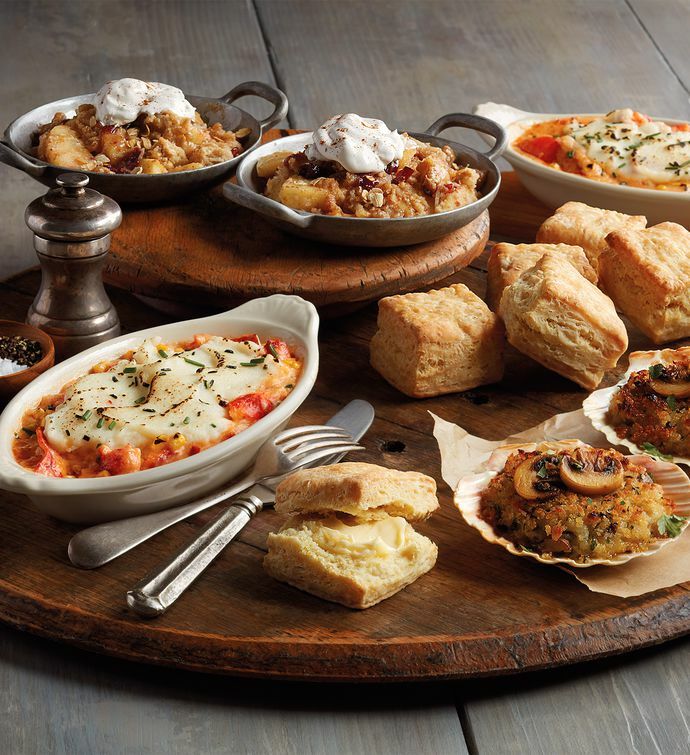 This tantalizing feast consists of three amazing courses: a succulent mushroom risotto starter; two hearty Mariner's Pies made with sweet Maine lobster and yellow corn in a flavorful cream sauce, all covered in smooth mashed potatoes, along with 72-layer cream cheese biscuits; and two sweet-tart apple cranberry crisps. Have dinner delivered, then heat and serve for an exquisite meal.